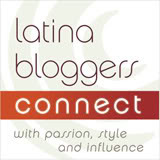 culture mami: Blogging on the plane. Last night was filled with lots of thought and little sleep. Nerves, excitement and thinking about everything I was going to leave undone. Audrey woke up during the night to feed. I held her close, embracing her little body. She said to me "chita, nap". Okay mama, I said, chichita y nap, as I put her to my breast. Yesterday, I ran around. Shopping, cleaning, cooking and folding laundry. Silvia said it perfectly while we talked on the phone, "I feel like I'm nesting". Just with no baby on the way. I think. Speaking of babies. My best friend had her baby yesterday. Congrats mama! I <3 you and your babies! Today is a busy day. We caught a 6am flight, meaning we had to wake up at 3:30am. I don't look pretty at 3 in the morning ( : There are a whole bunch (maybe 10) Latina bloggers on the plane. All headed from LA to Miami. Audrey started to cry when I got out of the car at the airport. It broke me, I even got the milk let down feeling when I saw her (which doesn't happen much now that she is a toddler), but I know her dad, so I know Audrey and Miah will be just fine. Thanks for all your very supportive comments on my last post. Your comments mean everything to this little blog. My luggage, second hand boutique. Shoes, Urban Outfitters. I love your luggage! Hope you had a safe trip home. It was nice to meet you in person. Cool suitcase. I hope your heart didn't ache too badly when you were away.